Say thanks by leaving us a review on Google! 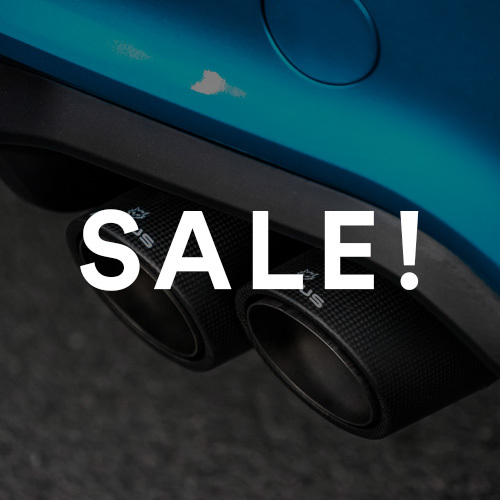 At AutoInstruct, we provide free tutorials to suit a wide range of vehicles and products. If you would like to say thanks, please click here to leave us a quick five-Star review on Google. We would really appreciate it! 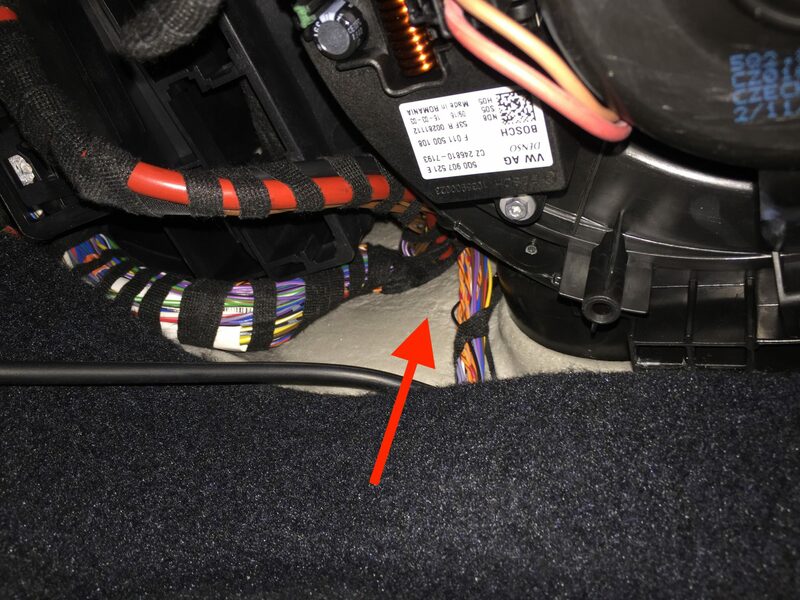 If you’re looking to run cables, wires or vacuum hoses from the vehicle cabin and into the engine bay, this guide will show you how to do so. 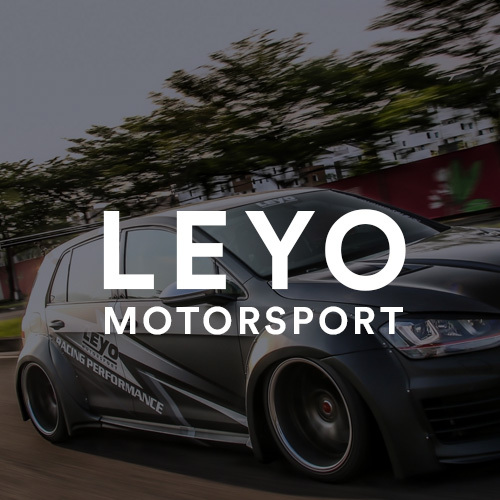 This tutorial was written specifically for Right Hand Drive (RHD) vehicles. 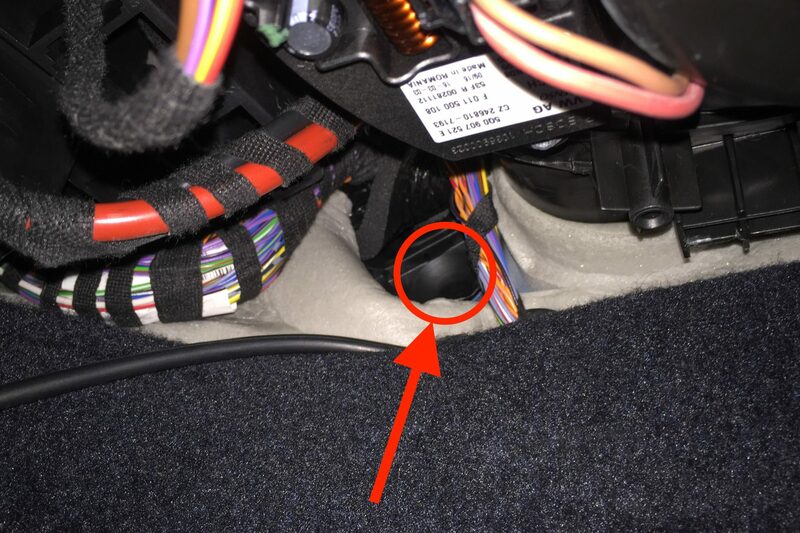 Left Hand Drive (LHD) is very similar, instead you will find this rubber grommet to the left of the clutch pedal. 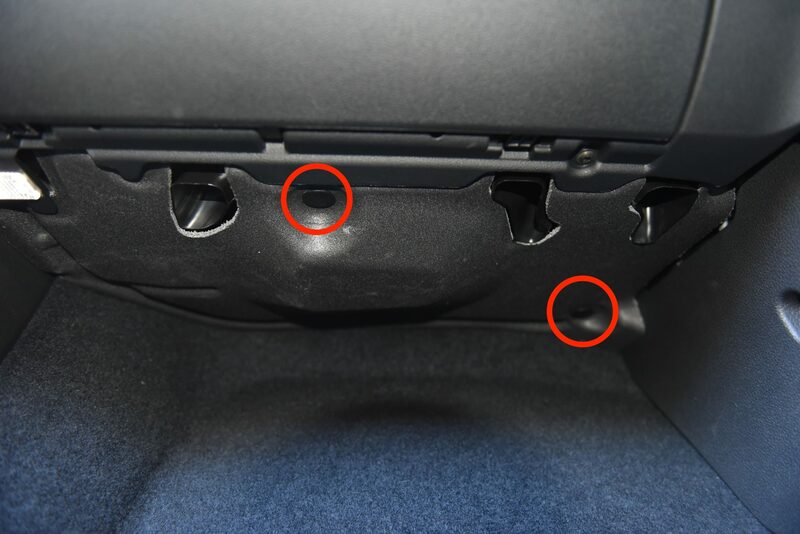 All automatic vehicles have the added benefit of using the rubber grommet where the clutch would normally be found. 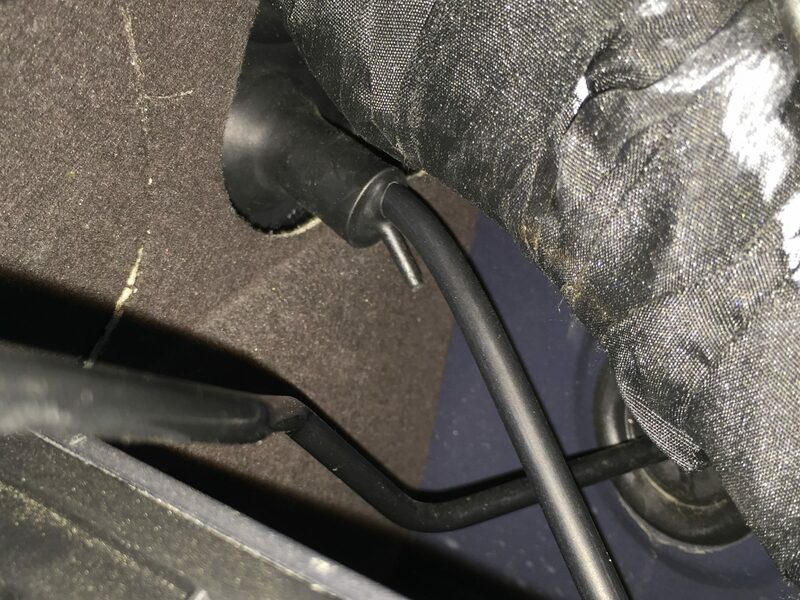 Remove the foam insert located in the passenger footwell. There’s two clips which can be removed with a trim removal tool. The following is made easier if you lie on your back in the footwell. Follow the wiring looms on the left hand side, you’ll see the wires disappear behind the foam insulation. This is where our rubber grommet is hidden. Pull back the white and black insulation, which will reveal a plastic funnel. This is a very convenient access point into the engine bay, thank you Volkswagen! 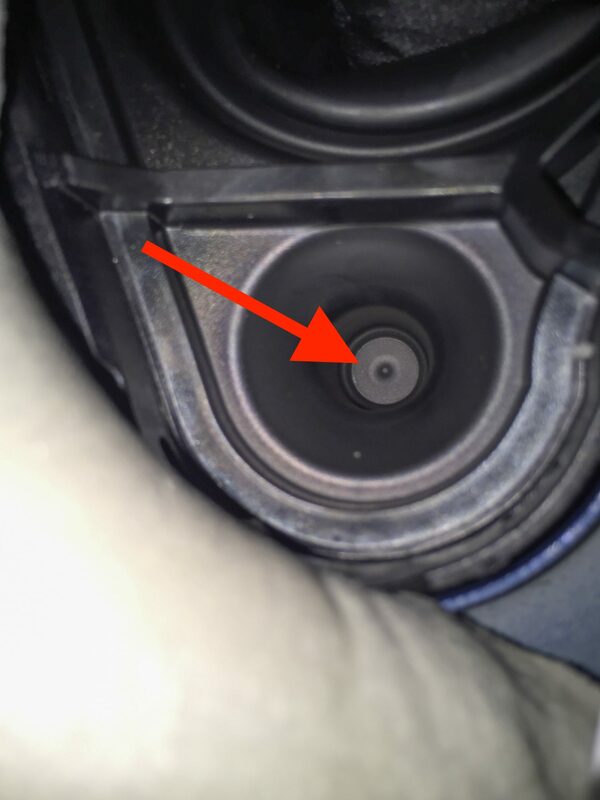 This is the inside of the funnel, which is thin rubber. I would estimate that 4 or 2 gauge wire would fit through here, making this hole perfect for your sound system requirements. We chose to puncture the rubber with a T15 TORX Key as it’s small enough to fit behind the air conditioner. As we were feeding vacuum hose, we simply slid the hose onto one end of the TORX Key, punctured the rubber and pulled it through. 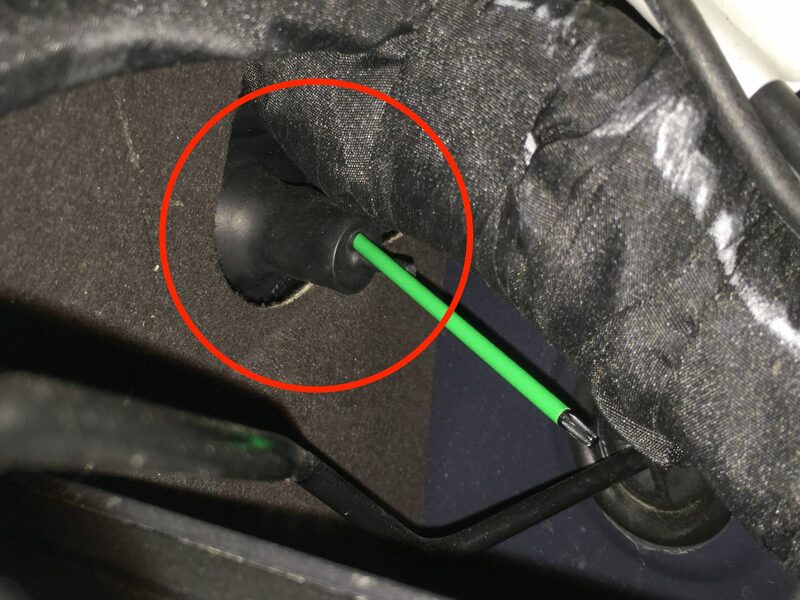 You could also cut a slot in the rubber from the engine bay, however don’t cut the entire piece off as you want to maintain a seal around the cable/hose. Here’s the view from the engine bay with the TORX Key punctured through the rubber. This is directly behind the vehicle battery which can be removed for ease of access (but not required). Lastly we pulled the TORX Key through, bringing the vacuum hose with it. Job done with plenty of room for more wires in the future! i couldn’t find the plastic funnel will dismantle my battery and have a look in the engine bay. do you mind to show me how to get the boost tap hose from the passenger side to driver side? Hi, Simply follow the carpet along the firewall and you will get to the drivers side with ease. Hi see the thick red wire in the left of the first picture. Does it have thin brown wires taped to the side of it? If so what are these for as mines don’t appear to be connected to anything. Thanks. Typically the brown wires are for ground. They may not be in use on your particular model.